Your Club. My Club. Our Club. 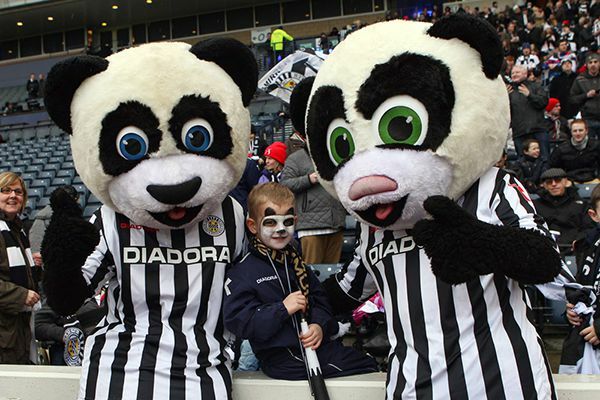 MORE MEMBERS = BETTER ST MIRREN. Sign up and decide how we can take our club forward #BUYTHEBUDS. 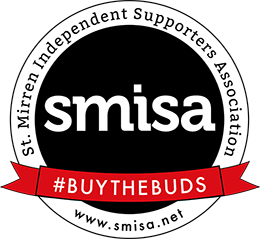 #BuyTheBuds came about because we want St Mirren to stay where it belongs, at the heart of the Paisley community, for generations to come. In summer 2016, SMISA and former St Mirren director Gordon Scott saw the terms of their joint offer to buy the majority shareholding in the club accepted by the former board. That meant Gordon became the new chairman and majority shareholder of of St Mirren. At the same time, SMISA secured a 29% stake in the club and the right to elect a fan representative on to the club board. We also have a legal option giving us the exclusive right to buy Gordon's shares within the next ten years and allow the fans to become majority owners of the club - keeping St Mirren in the hands of the community forever. Gordon paid the bulk of the money needed to fund the initial share purchase but SMISA agreed to cover £380,000 of the £1m purchase price. The income we receive from our members will pay that money back, while also saving up the money we need to buy out Gordon over the long-term. Basic membership of SMISA has been set at £12 per month. Of that, £10 is ringfenced for the share purchase, and £2 goes into a pot for members to spend on club-related projects. Fans also have the option of signing up for £25 per month, or through our £2,500 premium package, offering ten years of membership and some exclusive money-can’t-buy benefits. More information on our sign up page. SMISA set itself a target of 1,000 members to make sure our finances stay robust - we hit that target in summer 2016 during the initial fundraising. However it is important our existing members stay with us and that we attract new ones over the years too. There is no upper limit on members - the more we get, the stronger we are as a trust, the greater good we can do for the club and community. Fans can still sign up at any time. As mentioned above, our legal agreement with Gordon means we have ten years to raise the money to buy his shares, which will be at the price he bought them for. Obviously it's important our members keep paying their subscriptions so we can save up the money to do that, and that new members join up over the years to replace any who drop out. Over the years, Gordon will work with SMISA to make a sustainable transition to majority fan ownership when we are ready to do so at some point in the future. In doing so we can safeguard the future of our club and its role within the Paisley community forever. Sound exciting? You’ve got the power to make it happen. It’s quick and easy to sign up now. "The thing that gave me the most satisfaction in my working life was my time with St Mirren and especially the stadium construction. When I go to a game or drive past the stadium it gives me an enormous sense of pride to see what I helped to build. My desire is to see us back where we belong at the top table of Scottish football and I firmly believe I can help achieve that, and then successfully deliver this club into the hands of the supporters."